Masters of high-energy, chest stomping, direct connect to your pleasure centers Music - Witch's Mark are one of the most magnetic and unique bands to launch from the metal abyss and drill straight into your soul!!! Witch's Mark consists of five enthusiastic, passionate musicians whom love nothing better than sharing their energy and passion with their devout fan base, and using this unique energy and passion to draw in and recruit new fans and friends of all ages and genres. Witch's Mark is a quintet Rock/Metal band that draws inspiration from European and American styles of Metal, with emphasis on powerful clean vocals, driving & aggressive Guitars and Bass, thundering Percussions and backing Symphonics that pull the whole package together and envelop the mind in a journey of raw energy and explosive aural orgasms. Witch's Mark has been on their musickal quest for 8 years, and the experience and treasures that have been gained while on this odyssey is displayed in their incredible stage energy, performance and showmanship. 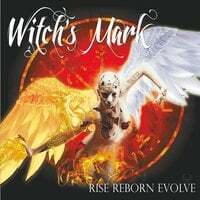 Often likened to the sounds of Nightwish, Leaves Eyes, Delain & Kamelot to name a few Witch's Mark is sure to leave their cherished audience with an adrenaline hangover and chill down the spine.